Frank Oz is revisiting Yoda for Star Wars: Galaxy's Edge. Oz famously came back to voice Yoda for 2017's The Last Jedi, a reveal that shocked audiences. Now, Star Wars fans will get a chance to hear some advice from Yoda while walking around the new Disney theme park addition, which opens in Disneyland on May 31st and later in August for the Florida theme park. Star Wars Celebration has shed some more light on what we can expect when the new area opens. Franchise super fan Josh Gad moderated the Star Wars: Galaxy's Edge panel at Celebration, which is where the Frank Oz news was announced to an enthusiastic response from the crowd and Gad. It has been revealed that the iconic Yoda will be around the park, which is pretty exciting news, especially with the return of Oz. The ancient Jedi will give parkgoers insights from the beyond, which will add another nostalgic note to the new area of the theme park. Sadly, the Rise of the Resistance ride won't debut when Star Wars: Galaxy's Edge opens. Instead, it will open a few months later, which is a wise decision for the massive amount of foot traffic the new area of the park will receive when it opens next month. With that being said, Star Wars: Celebration has revealed the ride is going to be even more of an experience than originally thought and it is expected to be a long ride, not just some 2 minute deal. Park visitors will have to escape from a Star Destroyer filled with Stormtroopers and AT-ATs. The Millennium Falcon ride, Smugglers Run, will debut when Star Wars: Galaxy's Edge opens and it has been revealed that it is going to be an interactive experience with parkgoers having to collaborate with each other to effectively pilot the old bucket of bolts. Each person will be given a specific job to make sure everything runs smoothly, which sounds like a pretty interesting idea and adds to the immersive goal of the new area of the park. 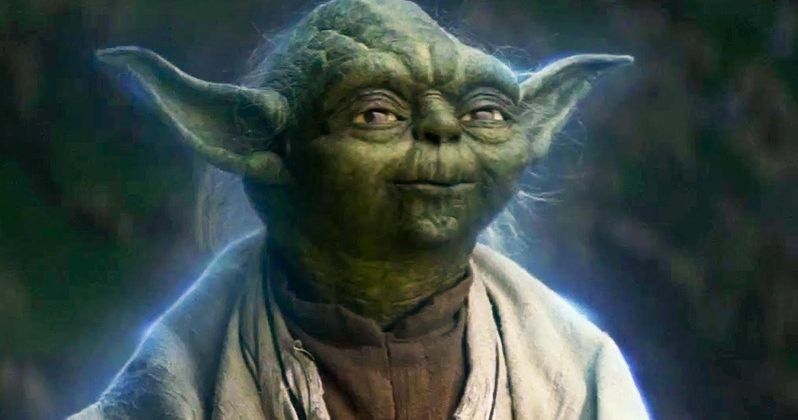 In addition to Yoda, Star Wars fans will be treated to another familiar voice, though he's not as well-known to everybody. Paul Reubens is back to voice RX-24, aka Rex, from the original Star Tours ride. Reubens has brought the character to life once more, but this time he is a DJ who aims to give everybody a fun experience as they visit the new addition to the park. Rex wasn't the best pilot, so being a DJ is probably a better job for him. Guests will also be introduced to Dok-Ondar, the "hammerhead" Ithorianalien, who will offer to take your cash as you barter for goods with him. Park visitors will be able to communicate with him and there will be Star Wars Easter Eggs hidden in his Den of Antiquities. This information came from Entertainment Weekly.